Sergeant WyTasha Carter was shot and killed as he and another officer attempted to arrest two men who were breaking into vehicles at a bar in 900 block of Fifth Avenue North just before 2:00 am. They were in the area on a special detail as the result of a recent rash of vehicle break-ins. A plainclothes officer spotted two subjects pulling on door handles of various cars and notified Sergeant Carter, who was in uniform and responded to the parking lot. The officer and Sergeant Carter stopped the two subjects and began to pat them down for weapons. One of the men suddenly produced a handgun and shot officers, fatally wounding Sergeant Carter and critically wounding the plainclothes officers. One of the subjects was wounded by return gunfire before both men were taken into custody. Sergeant Carter was a U.S. Air Force veteran. 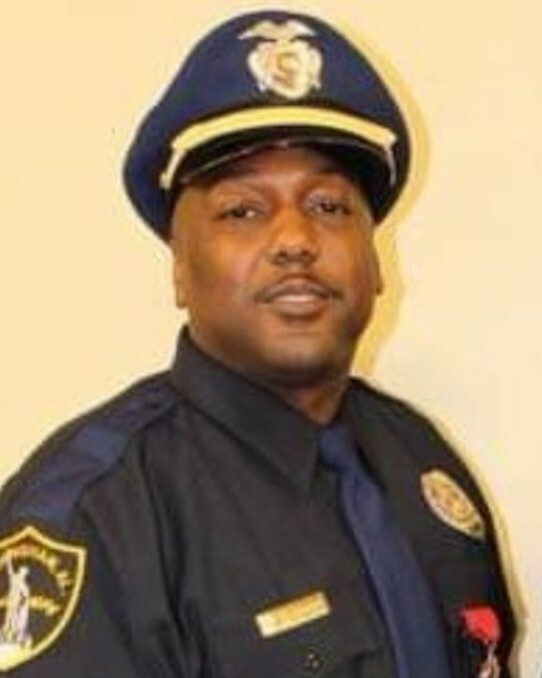 He had served with the Birmingham Police Department for eight years and had previously served with the Shelby County Sheriff’s Office, Leeds Police Department, and Fairfield Police Department for an additional nine years. He is survived by his wife and children.